Mark Dunn has over 30 years extensive background and experience in the photography profession. Mark apprenticed as a darkroom technician in United Kingdom for approximately one year. In Canada 1975 he commenced employment as a darkroom technician in slide duplication and custom printing. Then joined the Toronto Transit Commission Photographic Department 1976 where he found the challenges he had been looking for and worked with some of the finest photographers and technicians in the trade, Mark retired from T.T.C. in Jan 2006 after 29.5 yrs of service. Mark has worked in all aspects of photography, portrait, product, industrial, training, safety, security, engineering, construction, and extensive legal work. Encompassing companies such as: Toronto Transit Photographic Department, Britain-Small Wars, Silvano Labs, McRae labs, Framephotocolour, www.brushfirefilms.com, HDTV Production House. 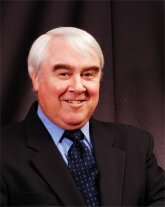 Laird W. Sweeny C.M.A., M.B.A.
Laird Sweeney, MBA, CMA, Hon BA Accounting, BA, the Chief Financial Officer of Aim Enter, has an extensive background in mathematics, business and financial services. 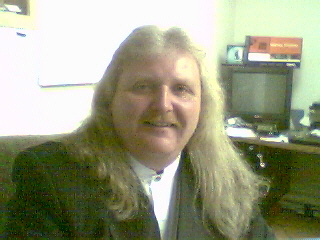 Laird’s experience has given him current knowledge and expertise in small business management such as: Adjunct Professor at York University, operates his own Financial Services Business, working management role in an Arabian Horse Farm in Grey Bruce County and a team player of the CADDS Group (of whom Aim Enter is a member company). Laird has held positions as Buyer for Robert Simpson Company, Sales/Manager for Simpson Sears, Civil/Structural Engineer for Manitoba Hydro, further engineering experience designing fire protection systems for buildings. Laird’s scope of experience is an invaluable asset to Aim Enter and your company. After a successful career as a professional photographer in the United States and Canada, Ralph M. Maffettone brings twenty-nine years of experience in a variety of photographic environments to the consulting profession. Eighteen of those last years were spent in Toronto, Ontario performing professional photographic work with the Toronto Transit Commission (TTC) and Bell Canada. Other businesses served include engineering, construction, architectural and governments. Comprehensive video and photographic coverage of complex and innovative engineering/construction projects, regular scheduled construction site progress coverage with film, video and digital images, aerial photography for pre-construction, progress status and display purposes, corporate formal events, presentations, portraits, fund raising and publicity. 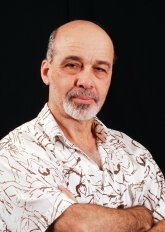 Ralph also has expertise in multimedia, digital imaging, desktop publishing, magazine publications & photographic exhibitions, film, stage & video lighting techniques and has experience as a commercial studio owner. His strong problem solving ability has contributed to his success in taking projects from research and evaluation through to implementation on time and within budget. Ralph’s current and previous clients are unanimous in their praise for his excellent work and customer service. Ralph is a US citizen, has permanent resident status in Canada since 1974 and also has spoken French linguistic skills. Ralph brings to Aim Enter his knowledge and expertise of computer technology and related skills used in various environments while participating in numerous projects with engineers, interior designers, architects, and project managers. Ralphs professional education began in 1959 and he has continuously up-graded his training. Starting with the US Air Force, Germain School of Photography, Maine Photographic and Sinar Bron Workshops, Sony & Kodak Canada and Centennial College/Bell Centre are institutions where he has acquired his knowledge and expertise in still and aerial photography, plus commercial, industrial & advertising photography, studio & location lighting, professional view cameras, video production & editing as well as new media design, digital imaging & desktop publishing.